Interesting evolution is always unexpected. The evolution of species plays out over eons; it is only through the long-lens of hindsight do we see it. But software evolution can be quick, yet interesting. It is not uncommon for a component to have changed its spots over just a few iterations. Software’s eponymous softness -- its malleability to change -- helps it evolve quickly, yet significantly. But other artifacts of our lives, even those hard to touch, evolve too. Languages of software development operate at several levels: facilitating expectations from a software system to be shared between stakeholders (specification languages), capturing analysis and design artifacts through a common set of idioms and notation (modeling languages), and implementing the system in executable code (programming languages). Each of these levels represents a particular layer of abstraction. “You employ stone, wood and concrete, and with these materials you build houses and palaces. That is Construction. Ingenuity is at work. But suddenly you touch my heart, you do me good, I am happy and I say ‘This is beautiful.’ That is Architecture.” – Le Corbusier (1923), quoted in Architecture: From Prehistory to Post-Modernism. The first law of software engineering is that there are no laws of software engineering, at least, yet! As the recently deceased software engineering pioneer Watt S. Humphrey had so succinctly said, “Physicists and engineers make approximations to simplify their work. These approximations are based on known physical laws and verified engineering principles. The software engineer has no Kirchoff’s law or Ohm’s law and no grand concepts like Newtonian mechanics or the theory of relativity”. The central challenges for software engineering are complexity and change. 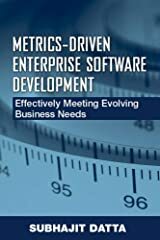 Software engineering’s response to these challenges comes in two parts: breaking down the problem of building a software system into smaller, more manageable ‘chunks’ to confront complexity; and setting regular checkpoints during the process of building a software system to address the effects of change. Every engineering discipline starts off in response to some pressing problem. Software engineering confronts the problems of change and complexity. The phrase ‘software engineering’ was first used in a public discourse at a NATO Science Committee sponsored conference, held at Garmisch, Germany, from 7th to 11th October, 1968. 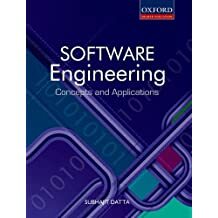 More than forty years hence, there is still not much unanimity on a definition of software engineering. Education is an explosive topic. Harmonious people become highly intolerant when talking about education, especially other people’s. To play it safe, I have qualified “education" in this section’s title with “software engineering" and qualified “software engineering education" with “some reflections". I do not claim what is reflected here is either a complete or consistent commentary on education in the abstract. 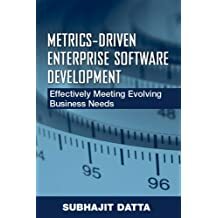 Software metrics? Oh! You mean lines of code. I recently traveled by trains across the great Indian plains, from Pune to Kolkata (erstwhile Calcutta), a journey of nearly 1400 miles. I had procured the train ticket sitting in my bedroom in Tallahassee FL, printed it out, and on producing it to the ticket examiner on board the train along with a picture ID, all was hunky-dory. This was not always like this. Software development is a fascinating enterprise. 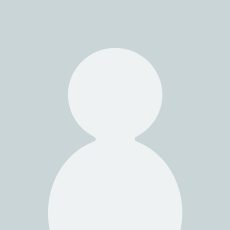 In these blogs, I will share some of my perspectives on the charm and challenge of building software that users want to use. I look forward to your counter-perspectives, and general comments.